Counseled and regularly represented investors, owners, and mortgagees, with respect to issues relating to tax liens and tax deeds concerning properties in Alabama, and through licensed counsel, properties in Florida, Georgia, Mississippi and Tennessee. Pursued and completed title clearing steps on hundreds of real properties, including mineral interests, primarily through quiet title and ejectment lawsuits, with some properties involving tax sales that occurred decades ago. In 2011, appointed as Special Master in a Jefferson County, Alabama class action lawsuit to recommend and implement procedures to address claims to approximately 900 unclaimed excess bids paid at Jefferson County tax sales between May 1999 and May 2007. His efforts in this case also led to corrections in the county's procedures, which, if not corrected, could have caused losses of more than a million dollars. Creditor representation, both non-bankruptcy and bankruptcy, including foreclosures, repossessions, lien enforcement, guaranty enforcement, motions for relief from stay, objections to plans, claim disputes, adversary proceedings, setoff and recoupment, reclamation and delivery stoppage. Representation of subcontractors and material suppliers with contract and purchase order negotiations, securing payment of contract amounts, lien and payment bond enforcement, and preparation of security agreements, assignments and guaranties. Construction disputes and litigation involving termination of subcontractors and suppliers, bankruptcy relief from stay, assignments/factoring, and lien waivers. Extensive representation of commercial landlords and tenants with respect to numerous landlord tenant disputes, including rent default and other contract breaches, unlawful detainer/possessory actions, evictions, rent recovery lawsuits, enforcement of landlord liens, guaranty enforcement, and abandoned property. Experience involving automotive supplier issues, including delivery disruption, tool and dye ownership and recovery issues, and detinue proceedings. Will is a real estate litigation and creditor's rights attorney and practices in the Creditor's Rights and Bankruptcy Practice Group. He has a specialized focus on real property title issues, real property tax liens, and ejectment/quiet title cases, and he is experienced in construction, commercial, bankruptcy and landlord tenant litigation. Will’s experience relating to ad valorem tax sales spans from the beginning of the tax sale process (advising clients relating to the rights of purchasers and concerning investment funding) to the end of the process (clearing of title and disposition of acquired properties), and everything in between. For over fifteen years he has regularly represented tax sale purchasers, owners, and holders of liens against properties sold for taxes. He has cleared title to hundreds of properties through ejectment/quiet title cases, and in the process, resolved issues relating to abandoned property, bankrupt property owners, lien priority issues (involving IRS liens, mortgages, judgment liens, homeowner and condo association liens, and municipal liens), challenges to tax sales, claims to excess/surplus funds, and disputed redemption rights. In 2011, a trial judge appointed Will as a Special Master in a class action lawsuit involving claims to excess funds paid at ad valorem tax sales in Alabama. His appointment came following the completion of the initial claims process when the judge recognized that there remained approximately 900 unclaimed excess bids. In his position as Special Master, he reconciled the remaining unclaimed funds and established and implemented an efficient system, involving careful title and fact analysis, to process and resolve claims to the excess funds. His efforts resulted in the court approved release of millions of dollars to hundreds of persons and entities entitled to the funds. 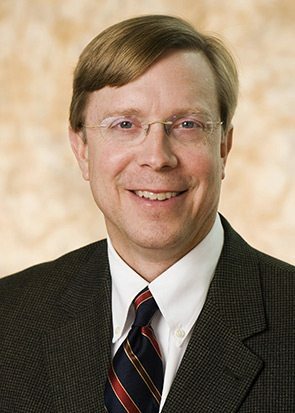 His other extensive experience includes creditor representation in bankruptcy cases, representing businesses and individuals in commercial landlord tenant litigation, and representing contractors, subcontractors and suppliers in construction claims, disputes and litigation. Alabama Lawyer Magazine: Money for Nothing: Who Is Entitled to the Excess Paid at a Tax Sale?